PORT ISABEL — The Port Isabel Police Department is seeking the public’s help in locating a missing person. 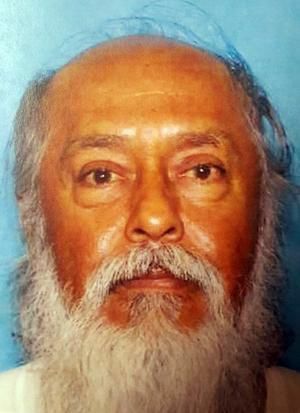 Juan Rocha was last seen at 10 a.m. on Sunday, Nov. 11, at O’Reilly Auto Parts located at 1902 Highway 100 in Port Isabel. Rocha was wearing blue jeans, a black leather jacket with a dark blue raincoat and a full-face mask with a skull. He is approximately 5 feet, 6 inches tall, weighs 160 pounds and has a long black and white beard. Police said Rocha was going to Houston in a blue with white stripe Harley Davidson with Texas license plates, 4WG-636. He was reported missing on Tuesday by his sister, who is a Port Isabel resident. If anyone has any information on his whereabouts, you are asked to call the Port Isabel Police Department at (956) 943-2727.